This article was first published in June 2016. Dilma’s impeachment was ordered by Wall Street. It is important to reflect upon the actors behind Brazil’s coup d’Etat and the insidious role of Michel Temer’s finance minister Henrique Campos Meirelles. Control over monetary policy and macro-economic reform was the ultimate objective of the Coup d’Etat. The key appointments from Wall Street’s standpoint are the Central Bank, which dominates monetary policy as well as foreign exchange transactions, the Ministry of Finance and the Bank of Brazil (Banco do Brasil). On behalf of Wall Street and the “Washington consensus”, the interim post coup “government” of Michel Temer has appointed a former Wall Street CEO (with U.S citizenship) to head the Ministry of Finance. 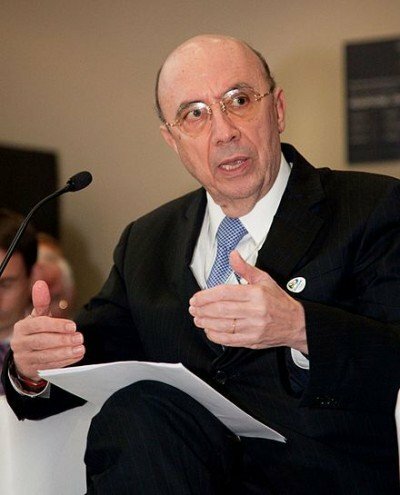 Henrique de Campos Meirelles, a former President of FleetBoston Financial’s Global Banking (1999-2002) and former head of the Central Bank under Lula’s presidency was appointed minister of finance on May 12. Ilan Goldfajn [Goldfein] (right) appointed to head the Central Bank, was chief economist of Itaú, Brazil’s largest private bank. Goldfajn [Goldfein] has close ties to both the IMF and the World Bank. He is a financial crony of Meirelles. Brazil’s currency system under the Real is heavily dollarised. Internal debt operations are conducive to a rising external debt. Wall Street is intent upon maintaining Brazil in a monetary straightjacket. Since the government of Fernando Henrique Cardoso, Wall Street has exerted control over key economic appointments including the Ministry of Finance, the Bank of Brazil and the Central Bank. Under the governments of Fernando Henrique Cardoso and Luis Ignacio da Silva (Lula), the appointment of the governor of the Central Bank was approved by Wall Street. Arminio Fraga: president of the Central Bank (4 March 1999 – 1 January 2003) (left) hedge fund manager and associate of George Soros, Quantum Fund, New York, Dual Citizenship Brazil-US. Henrique de Campos Meirelles, President of Central Bank, ( January 1, 2003 – January 1, 2011). Dual Citizenship Brazil-US. President and COO of Bank Boston (1996-99) and President of FleetBoston Financial’s Global Banking (1999-2002). In 20o4, FleetBoston merged with Bank America. Prior to the merger with Bank America, FleetBoston was the Seventh largest Bank in the US. Bank America is currently the second largest bank in the US. After having been dismissed by Dilma in 2010, Meirelles made a come back. He was appointed Minister of Finance by the “interim President” Michel Temer. 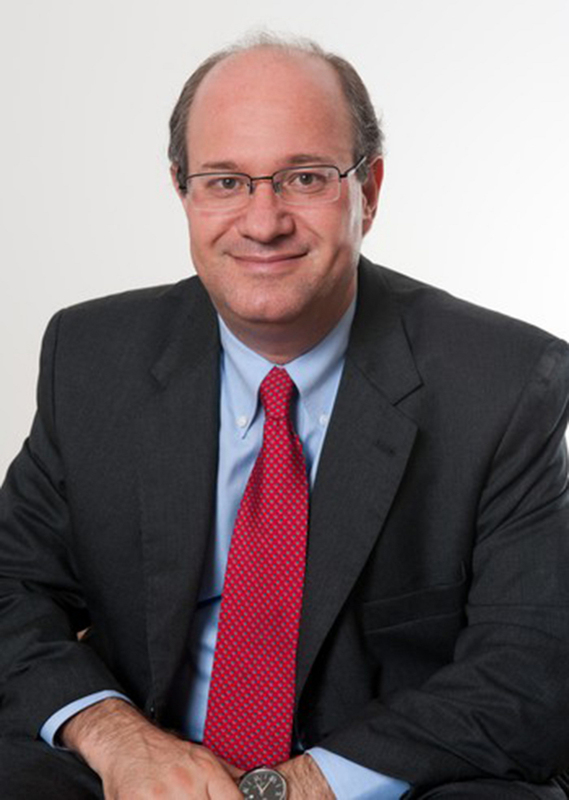 Ilan Goldfajn, chief economist of Itaú, Brazil’s largest private bank. Goldfajn [Goldfein] was appointed by Michel Temer interim “government” to head the Central Bank. (May 16, 2016). Dual Citizenship Israel-Brazil. Goldfajn had previously worked at the Central Bank under Arminio Fraga as well as under Henrique Mereilles. He has close personal ties to Prof. Stanley Fischer, currently Vice-Chair of the US Federal Reserve. Needless to say Golfajn’s appointment to the Central Bank was approved by the IMF, the US Treasury, Wall Street and the US Federal Reserve. It is worth noting that Stanley Fischer had previously held the position of of Deputy Managing Director of the IMF and Governor of the Central Bank of Israel. Both Fischer and Goldfajn are Israeli citizens, with ties to the pro-Israel lobby. 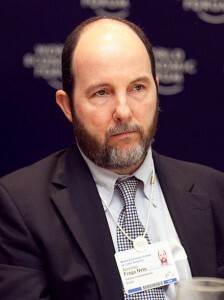 In early 1999, in the immediate wake of the speculative onslaught against Brazil’s national currency (Real), the president of the Central Bank Professor Francisco Lopez (who had been appointed on January 13th Black Wednesday 1999) was sacked shortly thereafter and replaced by Arminio Fraga, a US citizen and employee of George Soros’ Quantum Fund in New York. “The fox had been appointed to guard the chicken coop”. More concretely Wall Street speculators were in charge of Brazil’s monetary policy. Under Lula, Henrique Campos de Meirelles was appointed President of the Central Bank of Brazil. He had acted previously as president and CEO within one of Wall Street’s largest financial institutions. FleetBoston was the second largest creditor of Brazil, after Citigroup. To say the least, he was in conflict of interest. His appointment was agreed upon prior to Lula’s accession to the presidency. Henrique Meirelles was a staunch supporter of Argentina’s controversial Plan Cavallo in the 1990s: a Wall Street “stabilization plan” which wreaked economic and social havoc. The essential structure of Argentina’s Cavallo Plan was replicated in Brazil under the Real Plan, namely the enforcement of a dollarised convertible national currency (Real). What this scheme implies is that the internal debt is transformed into a dollar denominated external debt. 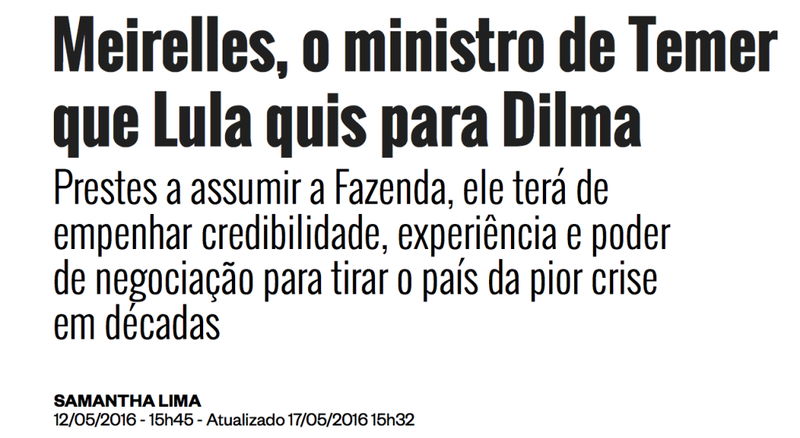 Upon Dilma’s accession to the presidency in 2011, Meirielles was not renewed as president of the Central Bank. Finance Minister Mereilles under the interim “government” supports the so-called “independence of the Central Bank”. The application of this fake concept implies that the government should not intervene in Central Bank decisions. But there are no restrictions on “Wall Street Foxes”. The issue of sovereignty in monetary policy is crucial. The objective of the coup d’Etat was to deny Brazil’s sovereignty in the formulation of macro-economic policy. Under Dilma, the “tradition” of selecting a “Wall Street fox” had been abandoned with the appointment of Alexandre Antônio Tombini, a career government official, who headed the Central Bank of Brazil from 2011 to May 2016. Upon Michel Temer’s accession as “interim president”, Henrique Campos de Meirelles was appointed to head the Ministry of Finance. In turn, Meirelles appointed his own cronies to head the Central Bank and the Banco do Brasil. Meirelles was described by the US media as “market friendly”. What is at stake through various mechanisms –including intelligence ops, financial manipulation, media propaganda–is the outright destabilization of Brazil’s state structure and national economy, not to mention the mass impoverishment of the Brazilian people. The US does not want to deal or negotiate with a sovereign reformist nationalist government. What it wants is a compliant US proxy state. Lula was “acceptable” because he followed the instructions of Wall Street and the IMF. “I am enthusiastic [with Lula’s administration]; but it is better to say I am deeply impressed by President Lula” (IMF Press Conference, 2003). Under Lula, there was not need for “regime change”. Luis Ignacio da Silva had endorsed the “Washington Consensus”. The temporary demise of Henrique de Campos Meirelles following the election of Dilma Rousseff was crucial. Wall Street had not approved Dilma’s appointments to the Central Bank and the Ministry of Finance. If Dilma had chosen to retain Henrique de Campos Meirelles, the Coup d’Etat would most probably not have taken place. It is worth noting that former president Lula, who has a close personal relationship with Meirelles, had recommended to President Dilma to appoint Meirelles to the position of finance minister as a means to avoiding her impeachment. A former CEO/president of one of America’s largest financial institutions (and a US citizen) controls Brazil’s key financial institutions and sets the macroeconomic and monetary agenda for a country of more than 200 Million people. It is called a Coup d’Etat… by Wall Street.